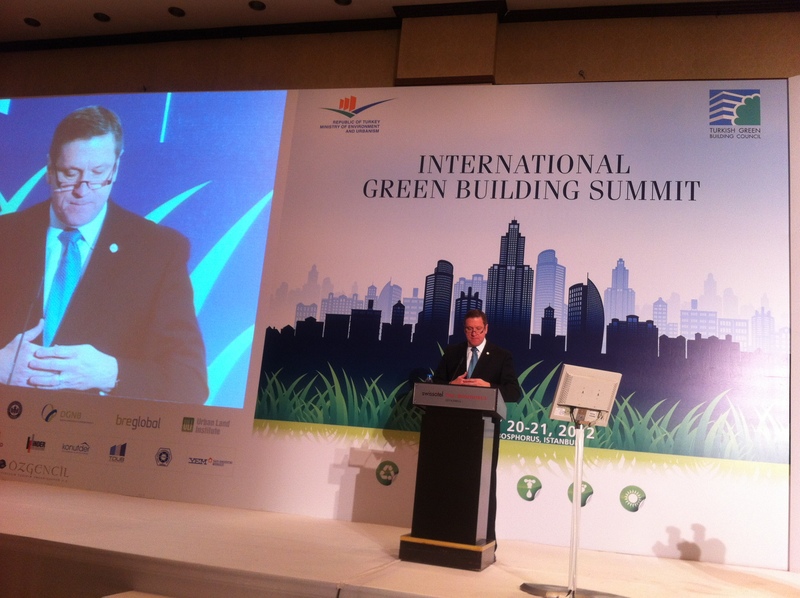 Rick Fedrizzi, Chairman of the World GBC kicks off the plenary session; comments included announcement of a business district sized development "going green"
of the organizers; the Turkish Green Building Council. 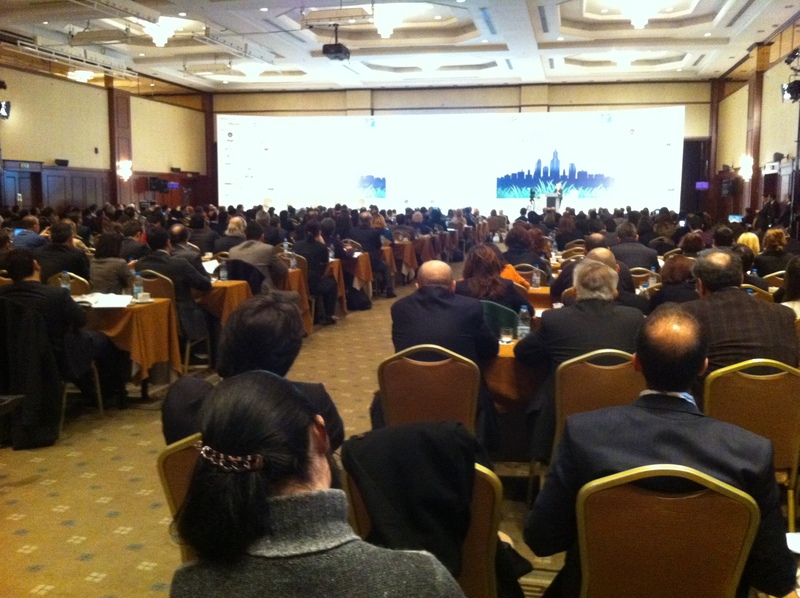 The two day summit included presentations from nearly 50 green building experts from around the world. The opening panel included Romania and the leaders of the Green Building Councils from the U.S., Turkey, Jordan, Sweden, and Tunisia; each bringing different approaches to the topic but a common and exciting theme of rapidly growing interest for sustainable construction. Romania. 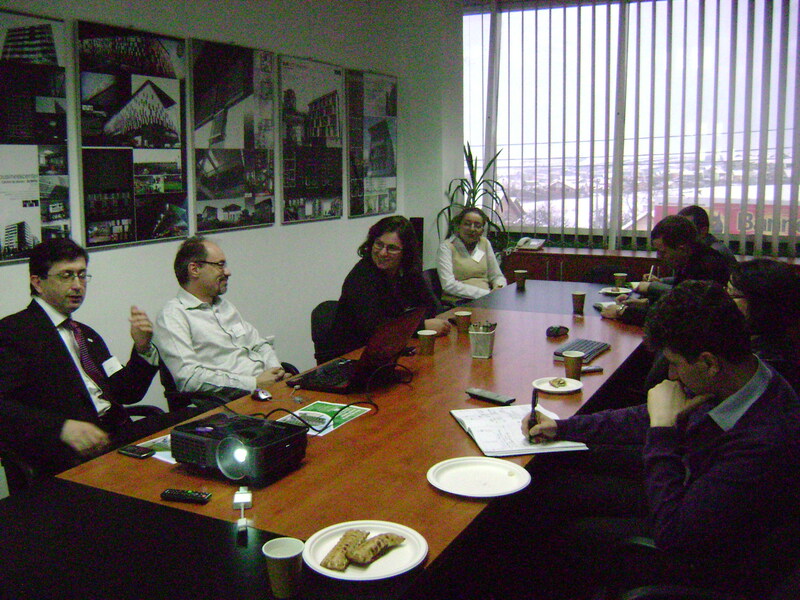 He was very interested in the work of the Green Building Councils including the RoGBC Green Mortgage product. I also had the good fortune to have great conversations with Mark James, Founder of Urban Green, a developer focused on affordable, green housing. Dr. Michael Braungart – renown co-author of the influential deep green book “Cradle to Cradle”, and Greg Katz, an entrepreneur and green venture capital partner with major accomplishments in green finance and energy performance standards. Both Dr. Braungart and Mr. Katz shared my very positive experience working in Romania while Mr. James is looking forward to his first visit. While, as you can imagine, the team from the Turkish GBC was quite busy, I still managed to find time to speak with Yenal Guller, Executive Director, Dr. Duygu Erten, Vice President and co-founder, Haluk Sur, Chairman and Ali Nihat Gokyigit, Honorary Chairman and co-founder. It is clear their Council is off to a very strong start and with a great team in place. The Founding Members and friends of RoGBC Transilvania were invited to another informal, but yet informative Green Cafe and we discussed about the green architectural design topic. 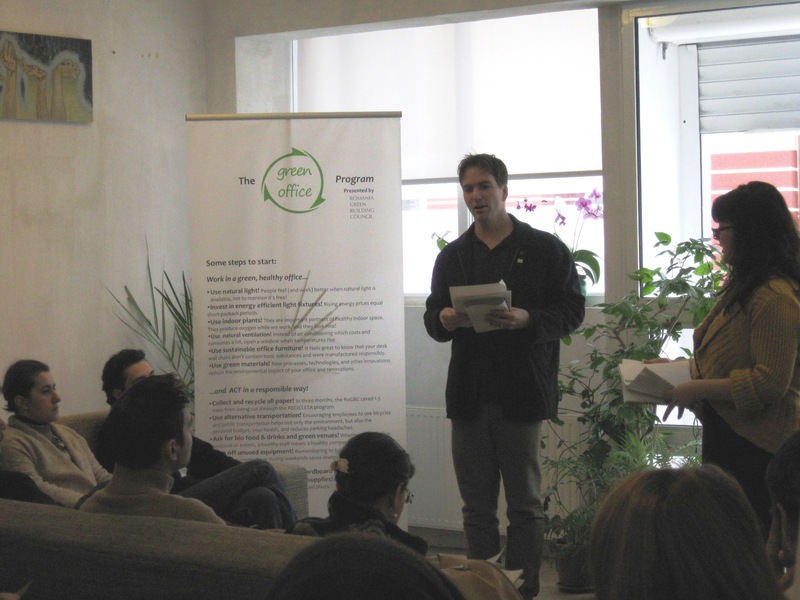 The event was at Dico & Tiganas office from Cluj – Napoca and had as moderators Arh. Serban Tiganas & Dr. Dorin Beu, Director RoGBC Transilvania. At the event were invited participants from construction related fields. 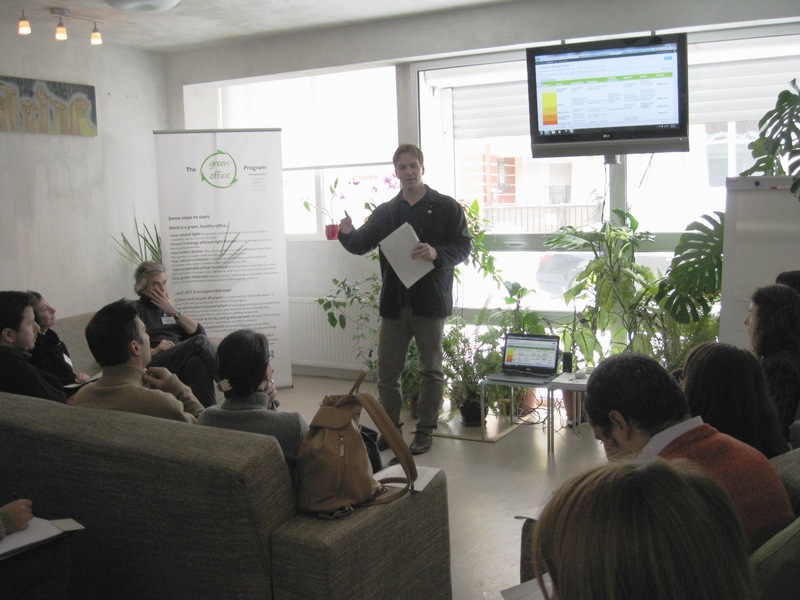 In 3 February took place at RoBGC headquarters the “Managing Green Building Projects” course, from the Romania Green Building Professional certification training platform. 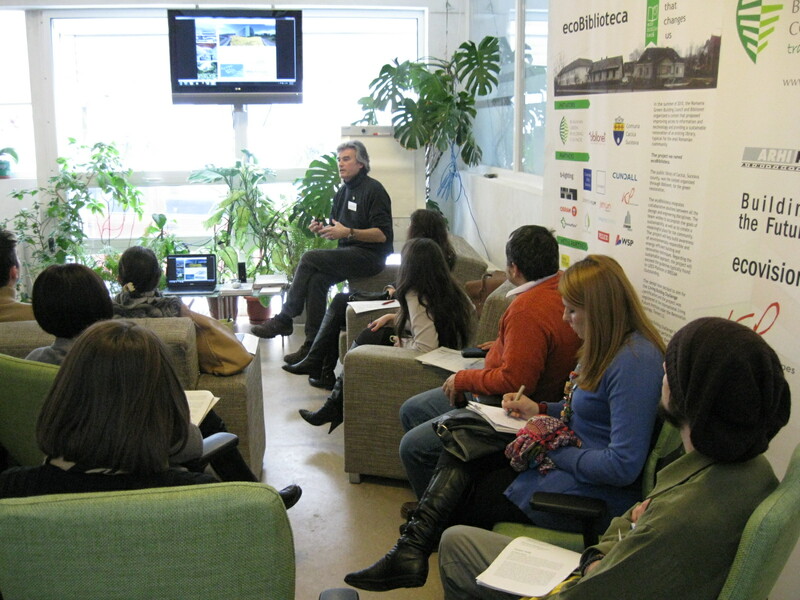 The course was focused on best practices for managing successful green building projects. Arch. Steven BEKERS is now an independent registered Cradle to Cradle™ architect/consultant, Master of Conference at BATir ULB university, vice president of Seco building control, founding member of Local Solutions Development Group ASBL already active in Africa and founding partner of “Lateral Thinking Factory”; supporting projects according to Cradle to Cradle principles with a multidisciplinary network of world experts that include c2c authors Dr. Michael Braungart and Architect William Mc Donough. In his presentation, arh. Steven Beckers had reached key sustainable construction principles including “Integrated Design” exemplified on his pioneer green thinking, awards wining projects. During the course was also two interventions regarding Green Office strategy at RoGBC, made by eng. Monica Zarnescu and the project management for demonstrative projects in progress at RoGBC, “ecoBiblioteca” and “Greening our Workspace”, made by arch. Luiza Hanc. In the second part of the course Steve Borncamp, who is currently leading three exemplary regional green building projects, has introduced the “Prispa” student project which was followed by a brainstorming session regarding “Prispa” student project managing. What is the cost of the Energy Performance Certificate for buildings? I recently found a research, published in December 2011 on the price of Energy Performance Certificates and main factors that influence it in different Member States. The research is made by the Energy Performance in Buildings Concerted Action (EPBD CA) – a group of experts (mainly from the governments but also associated technical experts from each Member State) in charge with the implementation of EPBD at the national level. What are the main findings of their study? the price of certification is mainly dependent on the expert’s work and defined in most member states by the market conditions; however there are countries (Spain, Portugal, Malta) where part of the price is fixed (fixed fees imposed in the legislation) and part is determined by the market. The information in the research is based on a survey with data from 2008. The situation might be different now considering that the building energy performance certification market is growing and there are more energy auditors. Anyway, the EPBD recast will inevitably lead to changes on the market (more buildings will need to get the certification, penalties for non complying with the requirements of EPBD should be introduced in all member states) and inevitably on the price. Get more insights on the price of energy performance certificates and the factors that influence it in different countries from reading the whole report here. 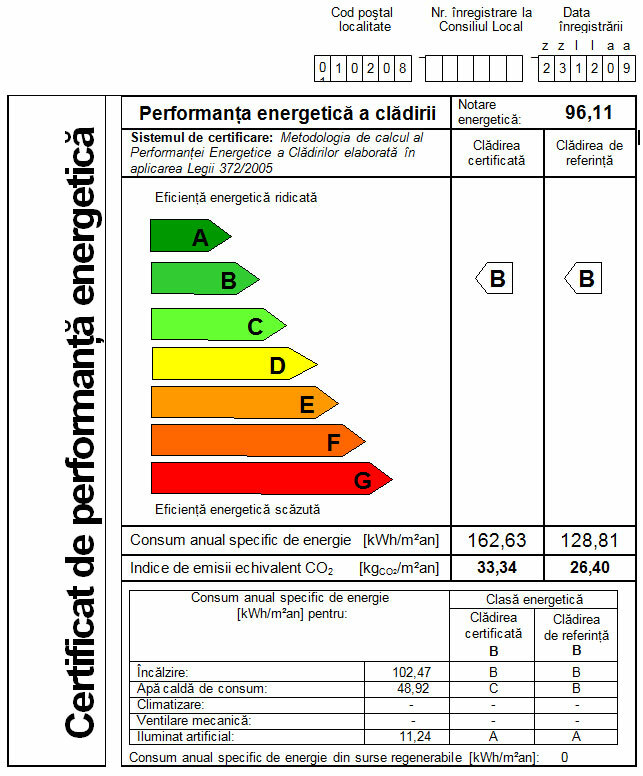 What do you know about the price of energy performance certificates in Romania? Do you find the results of the study consistent with your experience in getting an energy performance certificate for your building?